We make extensive use of precision monitoring tools (total stations, inclinometers, electrolevels, load cells, and crack gauges) for ground and building movements. Isherwood introduced inclinometer monitoring of shoring to the Toronto area in 1973 and maintains a mandate to research, test, and employ new monitoring technology wherever it has potential benefits. Precise and prompt monitoring provides the designer with valuable tools to assess performance and to respond to unexpected conditions as they are encountered. For this reason we oversee precision monitoring activities both internally, and through our sister company Monir Precision Monitoring. We have undertaken hundreds of projects where monitoring was critical in verifying our designs, confirming or predicting future performance, and where construction has been modified before deleterious movements occur. Consistent monitoring provides strategic opportunities to achieve significant construction economies, to prevent greater-than-acceptable movements, and to protect our clients from exaggerated damage claims from adjacent property owners. 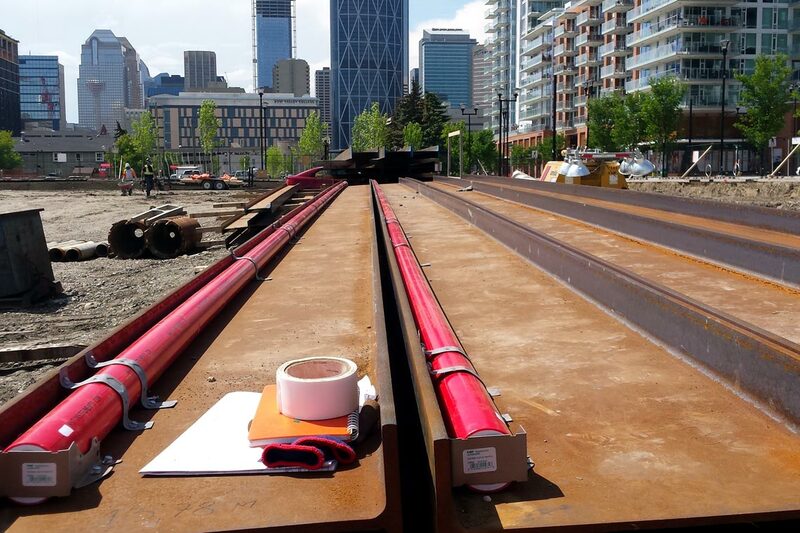 Inclinometers are installed at The Verve in Calgary, Alberta to monitor the movement of piles throughout excavation.